Don't miss today my Comfy and fresh outfit.......with pleated skirt and a Neon touch!. OMG, THAT BAG IS A KILLER!!!!!!!!!!!!! Loving your gold arm party! Gorgeous bag and coat! You have such an amazing pieces in your wardrobe! What an adorable jacket!!! I can already picture it with so many outfits! Love the blog redesign- I think it captures your and your blog perfectly! BTW, I'm doing a giveaway on my blog that I'm sure you'll be interested on: some jewels from PersunMall that I think that fits with your style :) Come and visit it and I hope you participate! I love the new header hun!!! You look beautiful, love! That jacket is just adorable! Love the yellow and white together! Well hello new site design...LOVE it!!! And of course you look fab! i love the new look anna! 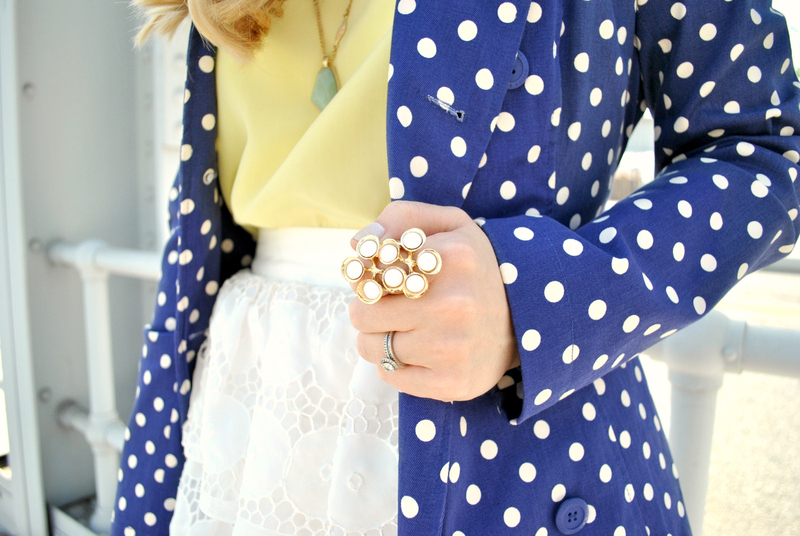 Love the polka dot trench!And love the new layout! Very cute! Love this post Anna, the color combo is perfect too and your new blog design is perfect. Very stylish and chic! Have a great weekend! Loving the new updates on your blog! It looks amazing! :) This outfit is also stunning! What a beautiful look! I loved these charm bracelets! 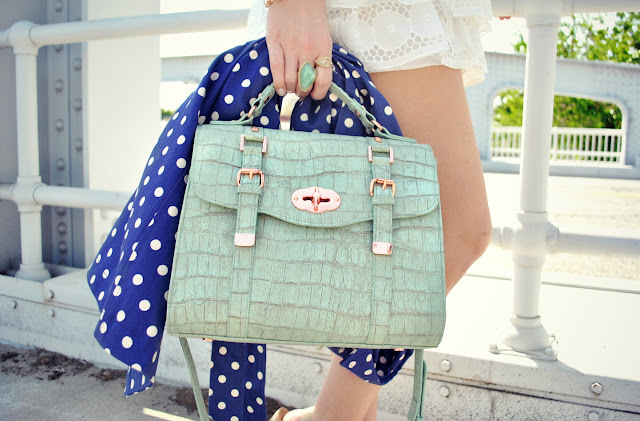 Love the new blog design and this bag!! Amazing! love love love the new layout!! Reallly cute! And that tiered skirt is amazing! Perfect photo spot- where is that?! I love your dots blazer! You look gorgeous! Love your style and your blog is awesome! I enjoyed reading your story. I really admire what you've accomplished. I wish you success and happiness! Love the new look and that polka dot jacket is stunning. I love that jewelry!! And the color combo is adorable. Anna, you look so beautiful. I love love love love love the new site. The header is amazing. Wow!! Your new site looks amazing - I've been contemplating a new look for mine, and this kind of gives me the excitement to pull the trigger! Keep up the great work girl. WOOWWW! I loved so much you look!!!!!!! So cutie!!!!!! I LOVE YOUR NEW BLOG LOOOOOOK!!!!! That coat is too cute, and I love all your gorgeous bracelets! Thanks for stopping by my blog earlier and leaving that lovely comment! Wow, your blog is amazing and your style is perfect! Polka dots and pastels are my absolute favourites and you look so great in them! Anna, I love this outfit and color combo. The new site is so amazing. Gorgeous, Anna! As always. Loving the blazer and IN LOVE with the site redesign! Congratulations! OMG! That jacket is ADORABLE!!! Love this look and everything in it! You are a joy to look at:-) Hope you are having a wonderful day! This is one of my favorite outfits! !